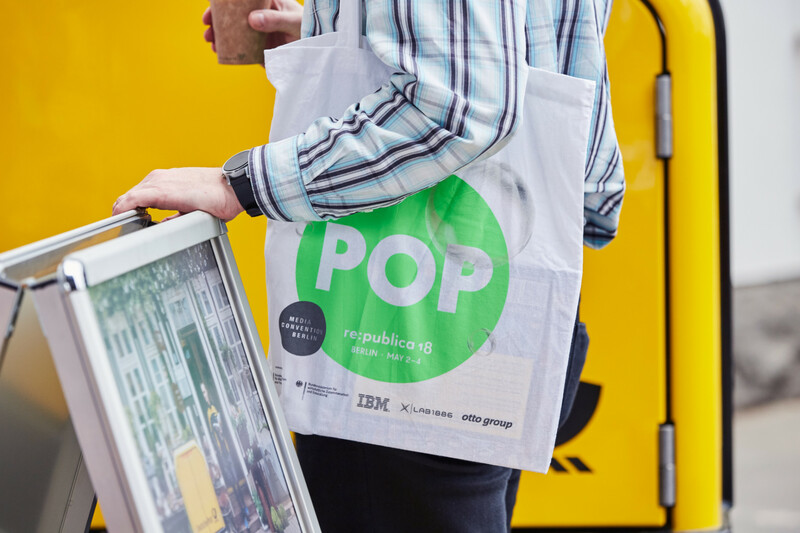 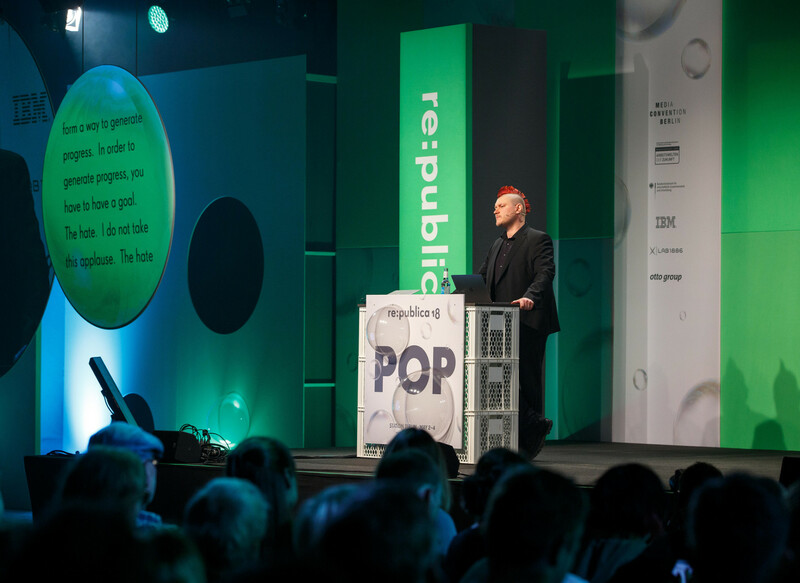 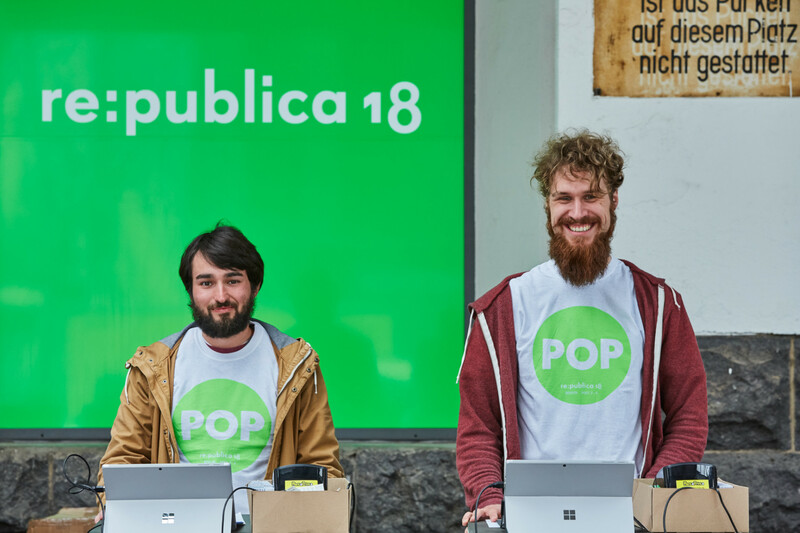 In May 2018 re:publica, Europe's biggest and certainly liveliest festival for a digital society happened under the motto »POP« navigating between the topics »popular culture«, »populism« and »power of people«. 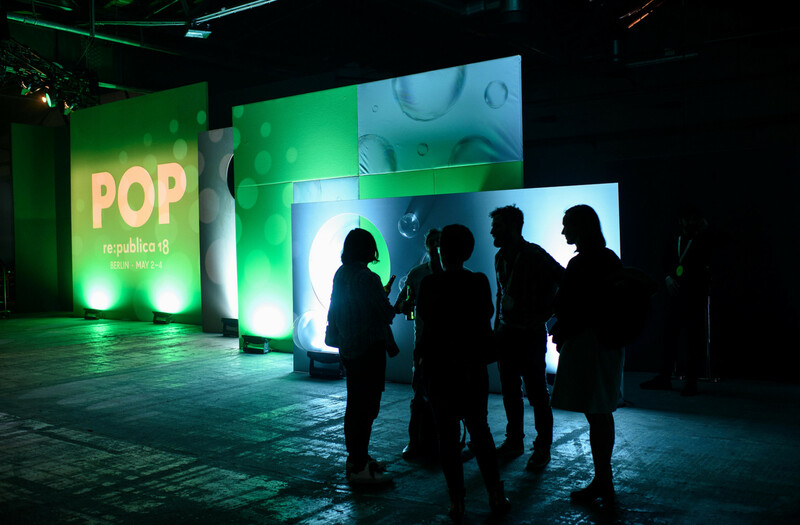 As designers we interpreted the theme with two key elements: hyper-digital bubbles and plain green screens. 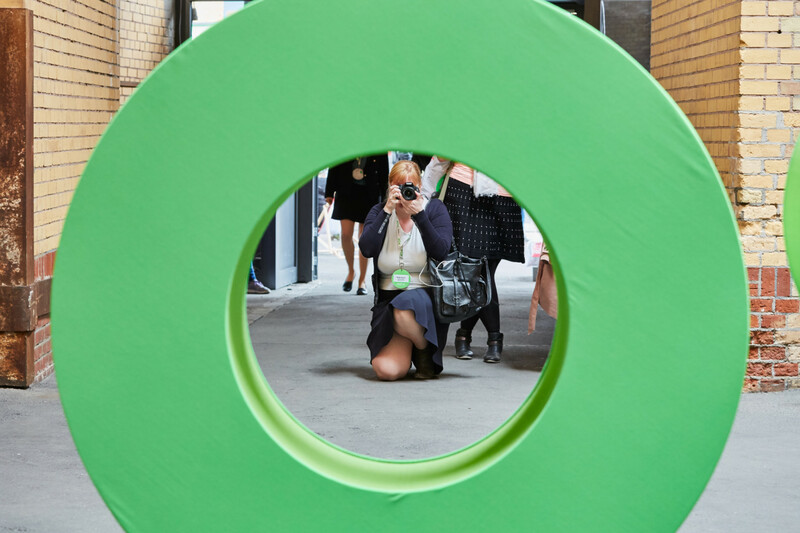 Representing the desirable yet fragile spaces of community, experimentation and identity known as the filter bubble we let all forms of digital and tangible bubbles float through the exhibition spaces, over the conference's websites, projections, and prints. 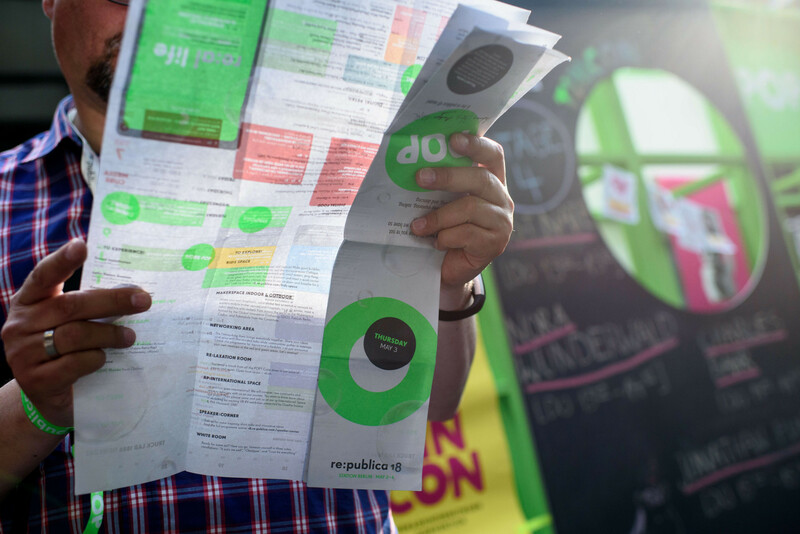 On the other hand we developed an app which allowed users to fill the many spaces of green void with their own content. 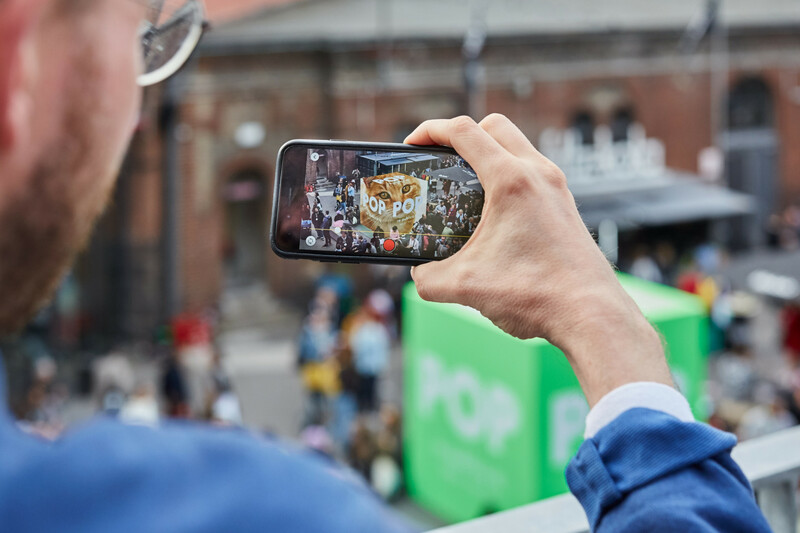 Exemplifying the idea that online everybody sees their own version of reality we let the visitors create their own version of the event by masking the green areas placed on site with private, political, controversial or comical images. 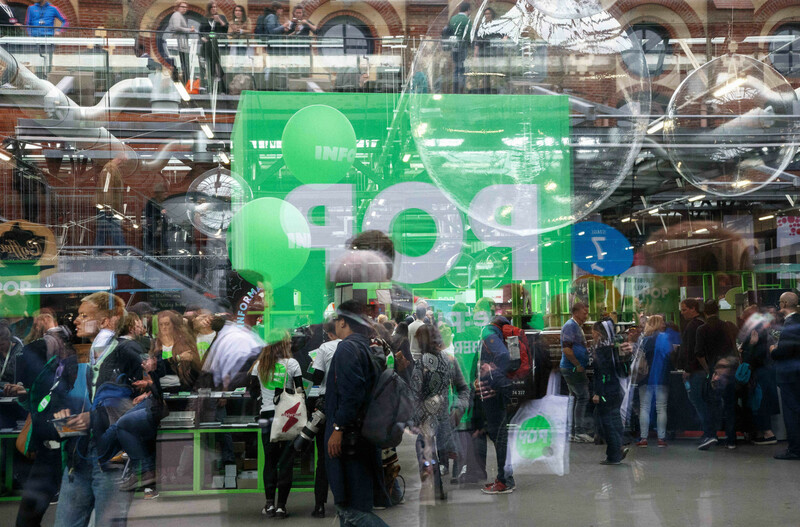 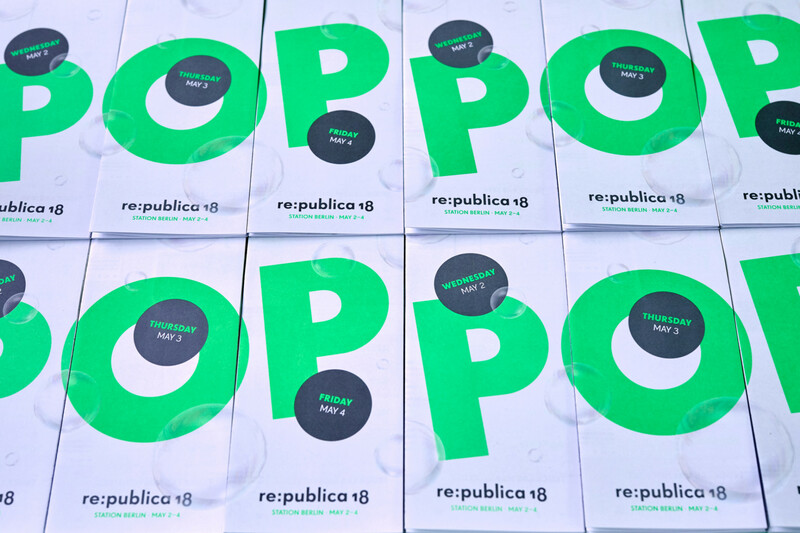 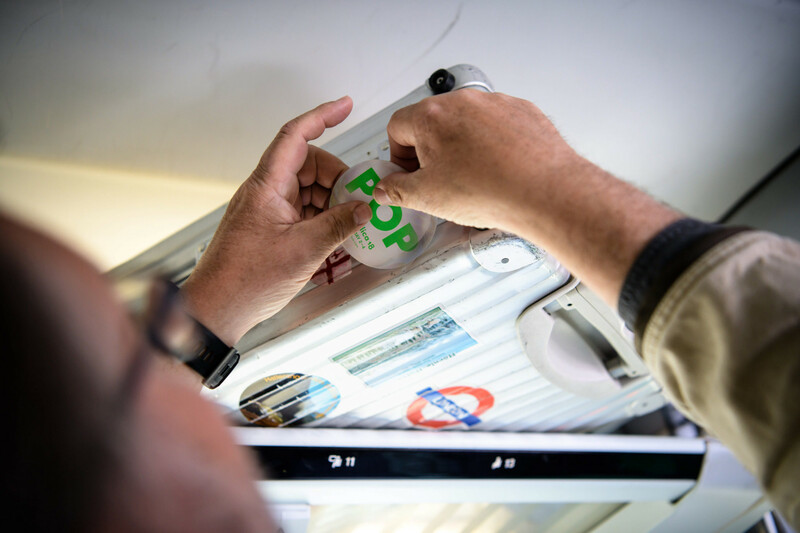 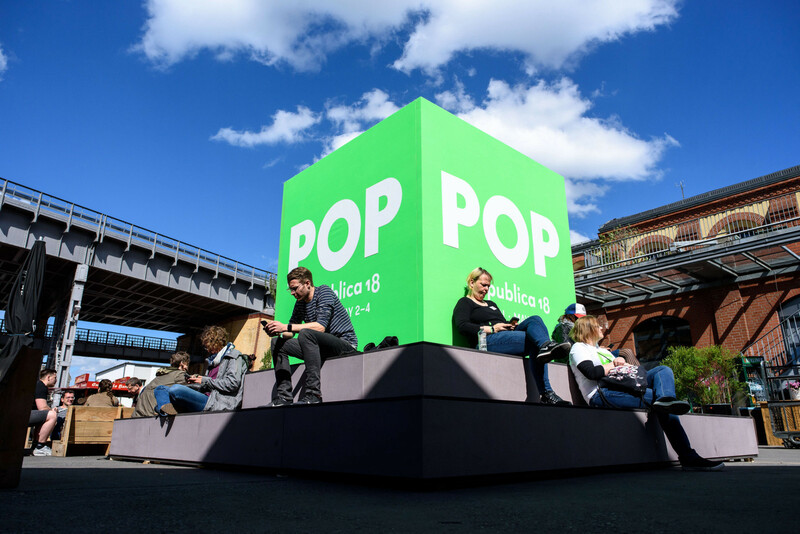 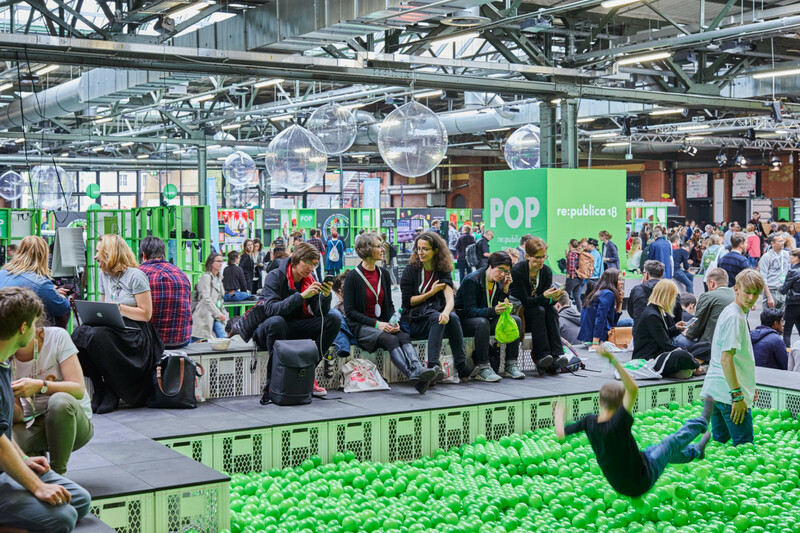 So a very green and bubbly re:publica happened on site while a totally different, personalized, individual re:publica happened online – thus questioning the mechanisms of community and individualism on- and offline. 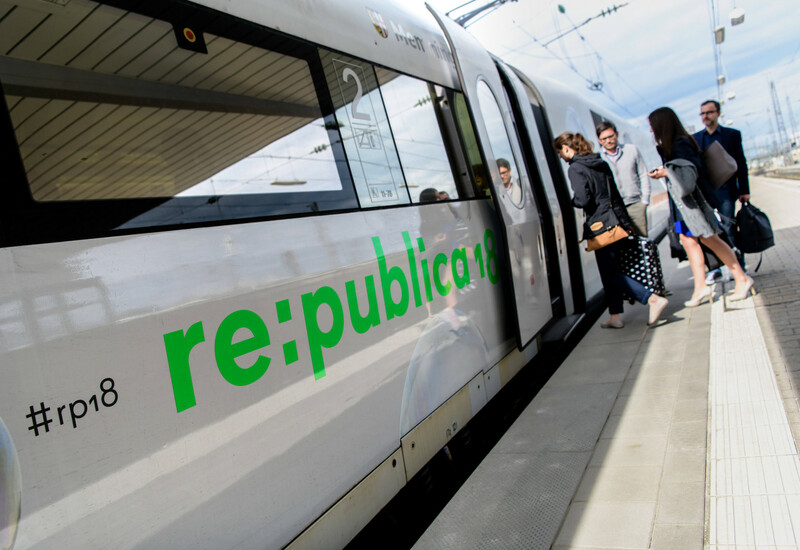 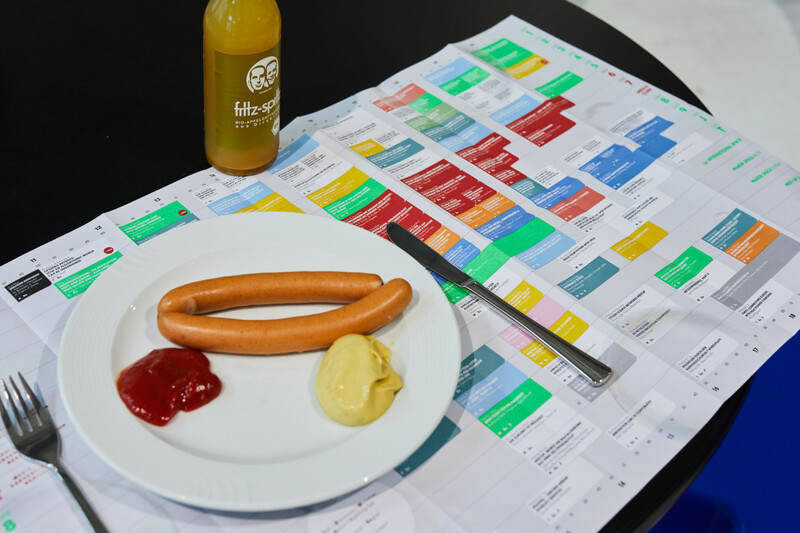 The design concept was applied to re:publica’s website, stages, brochures, posters, animated films, merchandise and wayfinding.